Home  21 Day F.A.S.T. Prayer is connecting with God; fasting is disconnecting ourselves from the World. Biblical fasting is, very simply, denying oneself for the sake of seeking and honoring God. Over time, it’s very easy for our souls (mind, will and emotions) to become full of junk. Fasting is a way to give our bodies and our souls a deep cleansing. When we do, we find that not only do we feel better, but as we draw closer to God, we are more in tune with His voice. There are several different types of fasts. 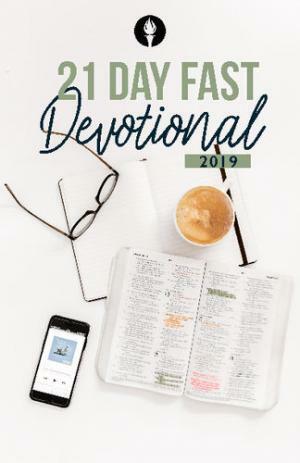 At the beginning of each year, we do our FCBC 21-Day fast. Some will give up specific foods such as bread or sweets. Other will be led to give up activities such as social media or watching television. 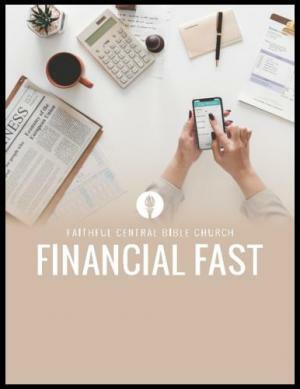 Some will participate in the Financial Fast. The main thing to remember is don’t make this time all about what you give up. Most importantly, this time is about drawing closer to God and replacing common distractions with prayer, reading our Bibles and seeking His face. How should I prepare too fast? If you are sacrificing food or committing to the Financial Fast, it’s smart to plan ahead and make sure you’ll have plenty of the fruits and vegetables on hand. What should I do while fasting? Pray. Read your Bible. Listen to worship music. Tune in to God’s voice as never before.